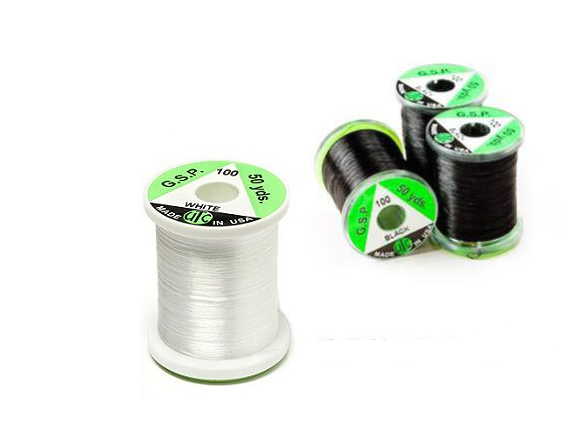 UTC GSP Gel Spun Thread is a 100 denier ultra strong thread. If your scissors are blunt they will not cut this stuff, if they are sharp they soon won't be. Honestly you could tow a truck with this, do not try to snap this thread with your hands, not unless you want to lose a finger or two. UNI Mono thread is ideal for saltwater patterns.